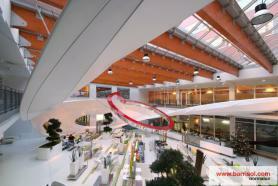 VIP Vodafone - Czech Rep. 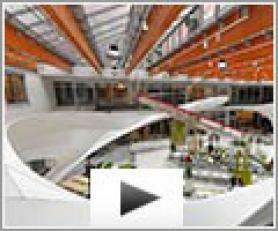 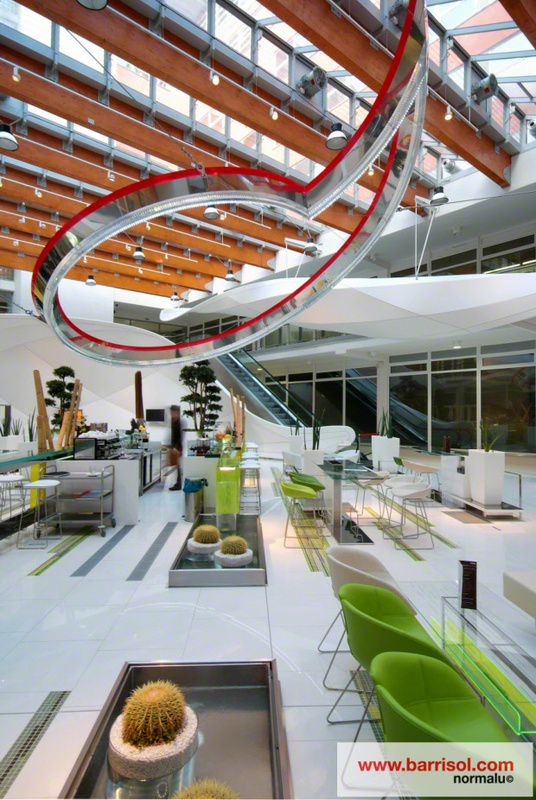 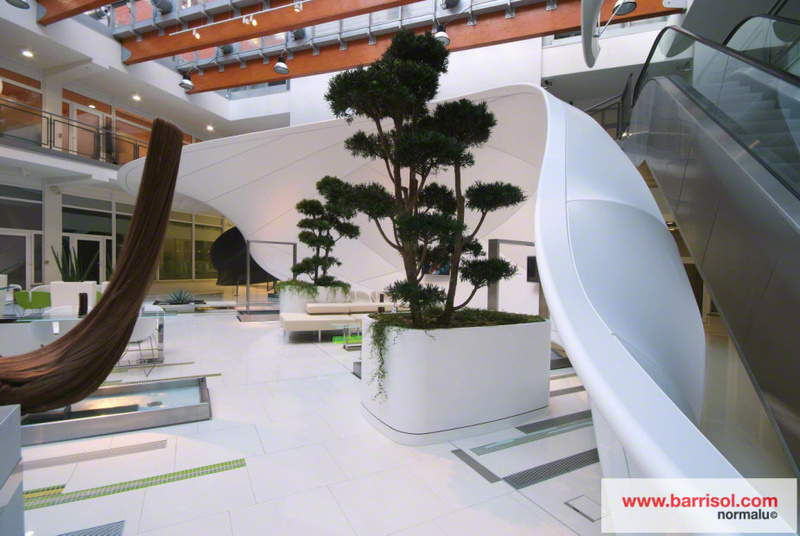 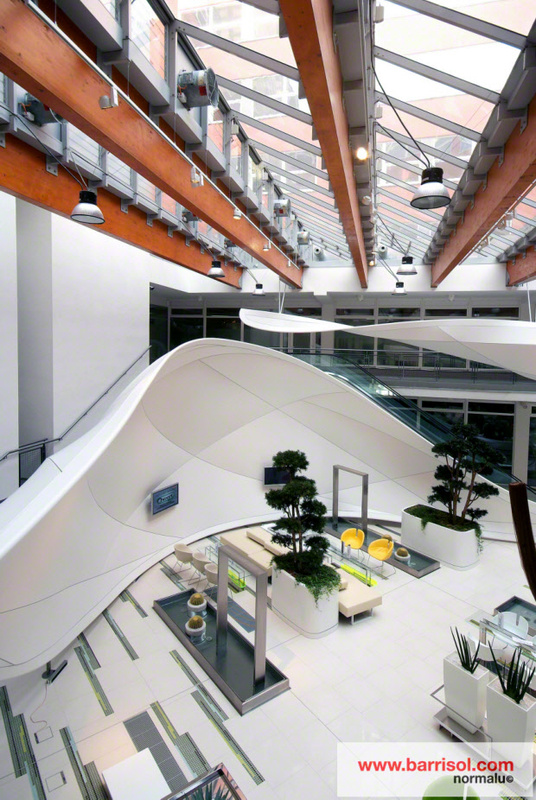 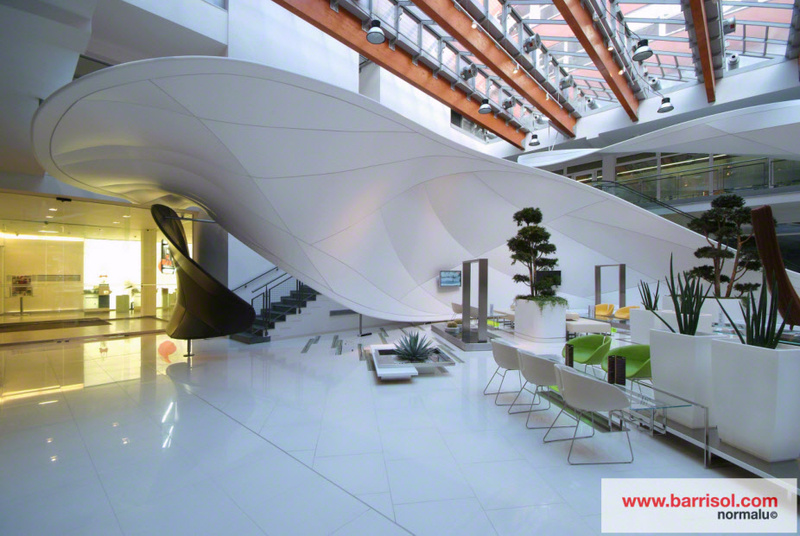 The building of the company Vodafone offers to its customers a reception room designed in accordance with standard HQE (High Quality Environmental). 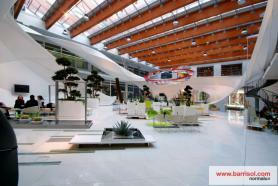 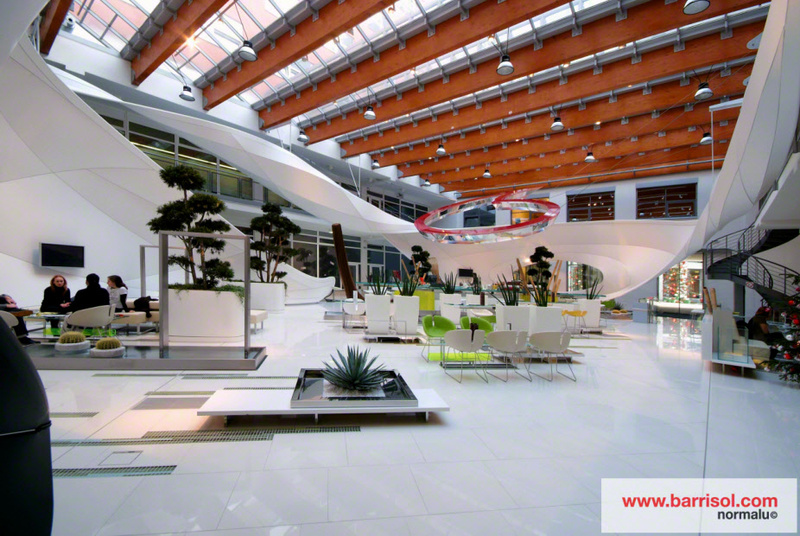 Designed by the architect Federico Diaz, this hall was decorated with ergonomic forms to equip empty space, thanks to the use of the white matte Barrisol sheet. 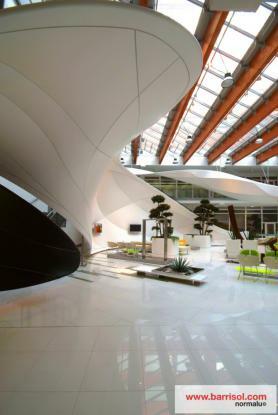 Layed in the space like floating scarves, these organic forms arouse curiosity and invite to the discussion in this new modern and convivial place.